Less Time. Less Stress. Better Results. Students who rushed their SAT scores in order to make the November 1 early application deadline, may have received the below note from The College Board letting them know that their reports will most likely be arriving late. Fortunately, The College Board is reaching out to colleges, and students will in no way be penalized for this delay. Nonetheless, it's another added stress to families worried about getting all of their materials in on time, as well as to colleges wanting to stick to their notification dates. Processing of rush SAT® score report orders placed on or after Oct. 15, 2015, is taking longer than expected, and your scores are among a set that have not yet been sent to universities. We will deliver score reports as soon as possible. For colleges that allow self-reporting on their applications, you can view your scores online and report them directly. We are reaching out to colleges with early action/early decision deadlines of Nov. 1 to make them aware of the situation, and we are encouraging them be flexible should scores arrive late. If you ordered your score reports for rush delivery on or after Oct. 15, you will receive a refund of the $31 fee if your order was not fulfilled within two business days from the time your order was placed. Please allow 5–10 business days for the credit to appear on your credit card or PayPal account. We recognize the importance of timely score delivery and apologize for the inconvenience. What if You Submitted the Wrong Version of Your Common App Essay? If you spend anytime around high school seniors, you can probably feel the tension building as students gear up to submit their applications before the upcoming early admissions deadlines. The anxiety is a natural response to the process, but part of keeping it in check is spending the time needed to review all of your work, including your Common App essays, several times before you submit your application. However, no matter how many times you think you've checked over your work, accidents do happen, and if they do, know that you're not alone, and there will be a way to resolve your problem! "Once an application or writing supplement has been submitted to any institution, you cannot make any changes to it (just as if you had dropped it in the mail), and we are not permitted to make changes on your behalf. In general, the Common Application is designed to be completed one time and submitted to all of the colleges at once, or over a period of time. If you need to change information on a submitted application, you must contact the college's admission office directly to ask how they would like you to proceed." Fortunately, college admissions offices are experienced in dealing with these types of issues and will have a straight forward way to rectify the situation, usually allowing you to email the appropriate version to a designated email address. That being said, definitely do your best to avoid this type of situation. It will definitely allow for a smoother, and more stress-free process! Posted in News | Comments Off on What if You Submitted the Wrong Version of Your Common App Essay? Most students have already caught on that applying early decision gives you an added edge in the admissions process. If you can narrow down your college list to one dream school, don't miss your chance! Over the years, the Common App has revolutionized the college application process, making it easier for students to apply to multiple schools resulting in confusion as to which students will accept offers if admitted. 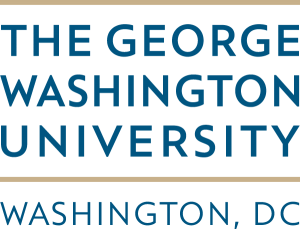 For more information on how this has affected George Washington's admissions process, don't miss this article. 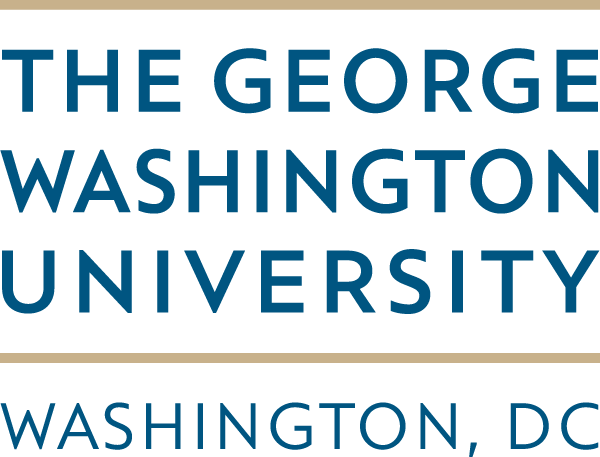 In short, GW had a significant drop in early admission applicants in 2014 receiving 1,089 applications, nearly half of what the University brought in in previous years. As a result, the University admitted 65 percent of those applicants, 21 percent more than the overall admission rate that year. So if you feel like GW is a good fit for you, applying early decision can only help! New York University had a record year with more than 60,000 students applying this past season, and approximately 2,500 students applied early. If you are one of the thousands applying early this year, definitely check out your Essay RoadMap to confirm that there are no additional program-specific essay questions that you may have overlooked. 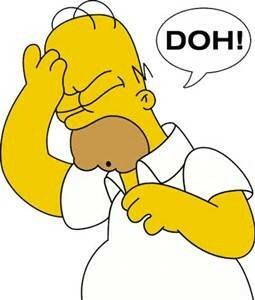 Each year, we have several students emailing us post-deadline saying that they wished they would have checked the non-required questions as they had missed a key essay. Colleges really want to get to know you during the college application process, and it's also a great opportunity for students to get to know themselves better! There are so many changes going on both on the inside and on the outside, that taking a moment to check in with yourself can get easily overlooked. College essays force you to look within, some use a more subtle method, and others in a much more deep and obvious way. If you're applying to Stanford, it can be quite clear that the school wants to learn about you and what makes you tick. Take a look at some of Stanford's questions below. 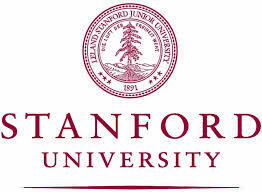 Even if you won't be applying to Stanford, if will still provide you with a valuable moment of introspection that you can keep with you long after the college application process is forgotten. A) Stanford students possess an intellectual vitality. Reflect on an idea or experience that has been important to your intellectual development. B) Virtually all of Stanford's undergraduates live on campus. Write a note to your future roommate that reveals something about you or that will help your roommate -- and us -- know you better. C) What matters to you, and why? D) Briefly respond to the following seven inquiries so we can get to know you better. Do not feel compelled to use complete sentences. What newspapers, magazines, and/or websites do you enjoy? What is the most significant challenge that society faces today? How did you spend your last two summers? What were your favorite events (e.g., performances, exhibits, competitions, conferences, etc.) in recent years? What historical moment or event do you wish you could have witnessed? What five words best describe you? Always good to check in with yourself now and then! As students continue to plug away at their early admissions applications, all the while trying to determine whether or not they will be accepted to their top-choice schools, one important piece of the puzzle has come in. SAT scores were released yesterday, bringing with them a flood of emotions. . . .Whether you feel satisfied or disappointed, take a moment to appreciate yourself for all the effort you have put into the process thus far. And remember amidst all the pressures, hopes, and dreams, that ultimately you will end up at the right place for you, and your four years of college will give you back as much as you put into them. There are over 2,000 colleges across the United States, and while they don't all make the news with the same frequency, there are outstanding human beings that emerge from all of them and live on to accomplish amazing things. That could be you, no matter what college you end up attending! Why Do You Want to Apply to Columbia University? 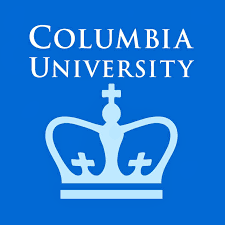 Columbia Univers ity's Early Decision deadline is November 1 giving students only ten more days to polish off a maximum of eight supplemental essays in addition to the Common App main essay! Perhaps one of the most important essay questions Columbia and many other schools ask is why you want to attend. On Columbia's application, the exact wording is, "Please tell us what you find most appealing about Columbia and why." This is your chance to demonstrate your interest! Definitely spend time thinking about how you can best convey your goals and dreams and how Columbia is the perfect place for those to blossom. Unfortunately, these types of essay questions generally lead to students regurgitating the college's brochure, which is not the way to go. Log into your Essay RoadMap account here to see a successful essay sample for this type of question. Posted in News | Comments Off on Why Do You Want to Apply to Columbia University? A) Liberian President Ellen Johnson Sirleaf—the first elected female head of state in Africa and winner of the 2011 Nobel Peace Prize—has lived a life of achievement. “If your dreams do not scare you, they are not big enough," she once said. As you apply to college, what are your dreams? 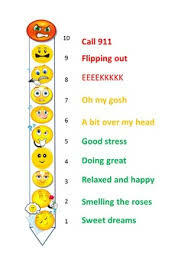 B) What makes you happy? C) Science and society are filled with rules, theories, and laws such as the First Amendment, PV=nRT, Occam’s Razor, and The Law of Diminishing Returns. In baseball, three strikes and you’re out. A green light on a roadway means "go." Pick any law and explain its significance to you. D) It's cool to be smart. Tell us about the subjects or ideas that excite your intellectual curiosity. E) Nelson Mandela believed that "what counts in life is not the mere fact that we have lived. It is what difference we have made to the lives of others that will determine the significance of the life we lead." Describe a way in which you have made or hope to make a difference. F) Celebrate the role of sports in your life. 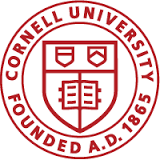 Cornell University, along with hundreds of other competitive schools, has its early decision deadline coming up on November 1. While at first glance, this school appears to have no required questions aside from the main Common App essay, once you select the college of your choice, you will see supplemental questions appear. Be sure to select all of your interests early on when filling out your applications so you can be sure that you're not overlooking any hidden questions. How have your interests and related experiences influenced the major you have selected in the College of Agriculture and Life Sciences? Why are you excited to pursue your chosen major in AAP? What specifically about AAP and Cornell University will help you fulfill your academic and creative interests and long-term goals? Describe two or three of your current intellectual interests and why they are exciting to you. Why will Cornell’s College of Arts and Sciences be the right environment in which to pursue your interests? If you're applying early, you no doubt have your Common App main essay completed, but have you finished all of your supplemental essays? Let's take University of Chicago for example. There are 4 supplemental essays to complete. Two are required, and two are optional. Any chance you're wondering if you can skip the optional questions? Well, we're guessing not too many students applying to competitive schools skip optional questions that apply to them. Think of optional as opportunity! It's definitely worth the extra time it takes to make sure you've let the colleges get to know you as much as possible. Here are the two optional questions that you may not want to miss! 1) Share with us a few of your favorite books, poems, authors, films, plays, pieces of music, musicians, performers, paintings, artists, blogs, magazines, or newspapers. Feel free to touch on one, some, or all of the categories listed, or add a category of your own. 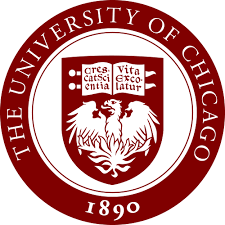 2) You may submit supporting materials for music, theater and dance, or visual arts and film digitally through the "Portfolio" section of your UChicago Account. You may also submit a short creative writing sample or scientific research abstract through your UChicago account using the "upload" feature. 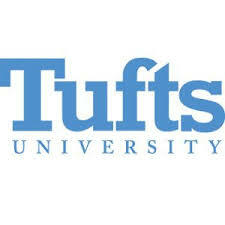 2013 College Essay Optimizer, LLC. CEO, College Essay Organizer, Essay QuickFinder and Essay RoadMap are trademarks of College Essay Optimizer, LLC.